EPI is an international consultancy operating across the globe with our divisional head offices based in the UK. One of our core strengths lies in our outstanding team. With many years of field, operational and technical experience across all disciplines, we have the knowledge and expertise to ensure excellence throughout the organisation. Ian founded Air Energi, a specialist energy workforce solutions provider in 1988, becoming Group Chief Executive Officer in 1997. In 2008 Ian took up the role of Group Executive Chairman and in 2013 became the Non-Executive Chairman. He has overseen expansion through sustained organic growth and targeted strategic acquisition to grow the company to over 40 locations worldwide. Ian joined the EPI board in 2014 as Chairman. His wealth of experience and expertise will ensure EPI continues to expand its international operations worldwide. 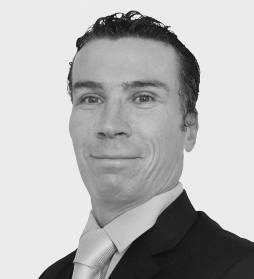 Tony has more than 15 years of private equity experience and is one of the founding partners of Palatine. He started his career at NatWest Acquisition Finance working as a debt provider on several private equity transactions. 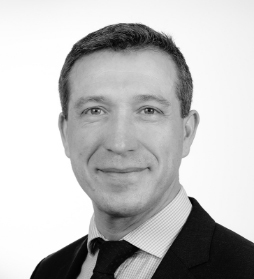 Prior to the formation of Palatine, Tony was Head of Aberdeen Murray Johnstone Private Equity’s London office responsible for sourcing and completing transactions in the South of England. Tony is on the Board of Wren Sterling, John Charcol, EPI Group and Selection Services. He was also on the board of XLN Telecom and Electra-net prior to the exit from these investments. 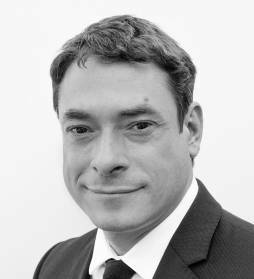 Andy joined Palatine in September 2013 having previously worked at Clearwater Corporate Finance where he was an Assistant Director in the firm’s technology team. 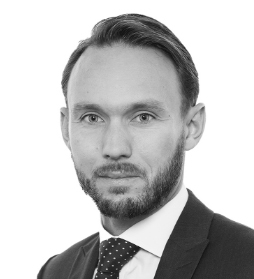 During his four years with Clearwater he worked on a number of domestic and international transactions including private equity backed buyouts, company disposals and asset sales. Andy is a chartered accountant and has a degree in economics from Nottingham University. Andy has worked on a number of investments made by Palatine and is on the board of EPI Group, Wren Sterling and John Charcol. Andy has been in the seismic industry for over 30 years, initially as a surveyor with GSI spearheading the use of GPS in the seismic industry. Andy then held various management positions with WesternGeco including Operations Manager, Country Manager and Global Operations Support Manager and was closely involved with the development and marketing of WesternGeco’s proprietary single sensor recording systems. After 24 years of dedicated service Andy left WesternGeco in 2008 to become a Director of Geophysical Exploration Management Ltd, a successful land seismic project management company. During Andy’s career he has worked around the world successfully delivering seismic projects in the most challenging environments. Richard joined the EPI Group at the start of 2013. He sits on the Board of Directors, managing EPI’s finance function and driving the corporate and strategic development of the business. 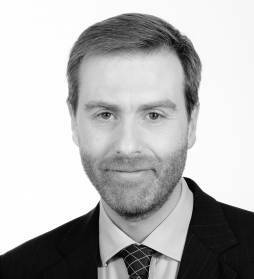 A qualified Chartered Accountant, Richard has spent the past ten years working within the UK’s South-East Corporate Finance Advisory community, advising a wide range of SME businesses. 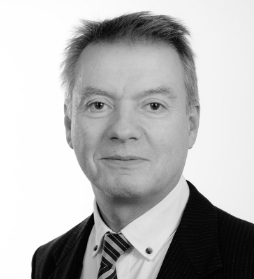 During this time, Richard spent eight years working for Deloitte’s Corporate Finance Advisory team before deciding in 2010 to join a start-up CF Advisory boutique, Spectrum Corporate Finance, which he has successfully helped to establish as one of the leading South-East Corporate Finance Advisory businesses. Richard will help EPI continue to expand its international markets and regional offices. 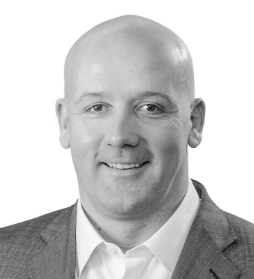 Mark is an exploration geoscientist and oil industry innovator with 20+ years’ experience and proven track record working throughout the E&P cycle. Mark established PDF, for E&P advisory, in 1994 and PDF has grown to become a global geoscience consultancy and provider of the innovative Outsourced Exploration Department (OExD®). 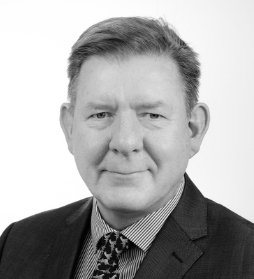 Mark’s experience of hydrocarbon exploration extends across highly diverse geological settings globally, and he is noted as a specialist in structural analysis, New Ventures, Play Fairway Analysis and Charge Modelling. Mark has made a leading contribution in a significant number of oil & gas discoveries, has assisted a number of companies from start up to IPO and trade sale and assisted companies in expanding their asset base and strategically diversifying their exploration portfolio. Prior to PDF Mark worked for Maxus Energy in London and Dallas, Texas and ESRI. Mark is founder of the PDF Research Fellowship with Plymouth University (a joint industry/academic collaboration for knowledge and technology integration in the oil and gas industry), holds a PhD in structural geology from Imperial College, London and is proud to be a PESGB Young Professionals mentor. After graduating with a B.Sc. (hons) in Geological Sciences in 1997 (University of Leeds) and subsequent Postgraduate Diploma in Management Studies in 2006 (Anglia Ruskin University), Richard worked as a geophysicist, both on and offshore, in high-resolution and 2D seismic acquisition and processing. He specialised in site investigation surveys and Landmark ProMAX processing systems, subsequently becoming Consultant Geophysicist on various 2D/3D surveys for leading contractors. From 2004 to 2007 Richard was Project Manager for a geophysical contractor on marine 2D seismic, continental shelf, site investigation and hydrographic surveys. Richard joined the EPI Group in 2007 and he now sits on the Board of Directors of the EPI Group with overview of all seismic operations. Matthew is a geologist who specialises in sedimentology, sequence stratigraphy, prospect evaluation, play fairway analysis, seismic, well-log, field and core analysis. With a wide global experience across four continents and including conventional and unconventional exploration and development projects, Matthew has built a track record of innovative technical analyses and helping clients to achieve their exploration goals. Matthew also holds post of Senior Lecturer in Petroleum Geology at Plymouth University, UK and chair of PDF Fellowship at Plymouth University. This experience ensures Matthew brings a strong ethos of collaborative learning to the EPI Group to continuously improve our capabilities. Richard is a Seismic Processing Geophysicist with 20 years’ experience in the exploration sector of the Oil & Gas Industry, including both marine & land processing and also land acquisition. 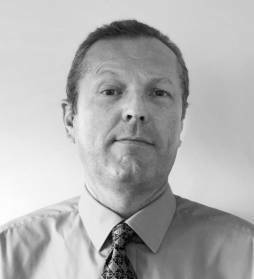 Before joining EPI in 2017 Richard held the position of Marine Processing Supervisor at Geotrace Technologies, and prior to that the position of Senior Geophysicist with Veritas DGC Ltd. Whilst at Geotrace Richard successfully supervised multiple project teams working on deadline-orientated, technically challenging Marine Processing projects for a variety of major Oil & Gas industry clients, typically overseeing 5-8 projects at a time. He has a proven track record of delivering projects on time and exceeding client expectations. 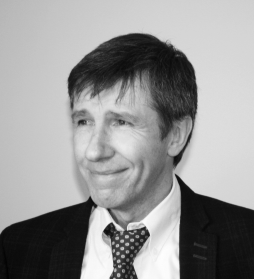 Kevin has over 35 years’ experience as a Geophysicist in the oil and gas exploration business, primarily involved in seismic processing, survey design and seismic acquisition and project management. Kevin started in the industry with the major seismic contractor SSL as a processing geophysicist, however for the last 20 years he has worked for various consultancies in both managerial and technical ‘hands-on’ roles. He was worked for a multitude of clients over the years, from supermajors to independents. Kevin comes to EPI to join the Applied Geophysical Solutions team – assisting clients in developing their work programs and derisking strategies globally; he brings a solid technical background and broad experience making him an asset for any project. Warren joined the EPI in 2012 to continue helping expand the international sales presence. In 2013, he moved to the US where he was instrumental in opening the office in Houston. This important step in EPI’s growth ensured we tied closer links to the company’s US based clients, which have grown tenfold. 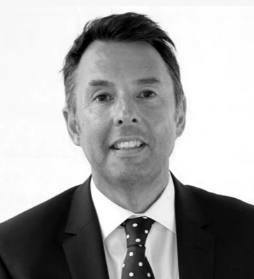 Warren brings a wealth of business experience and knowledge in a variety of fields and has a proven track record establishing close links with clients and consultants alike. 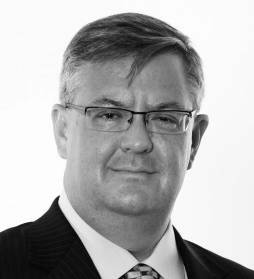 Warren now looks after International Business Development in a host of territories. Ben began his seismic career at Western Geophysical in 1997 as an Observer. He has worked extensively in the main offshore oil and gas operating regions on projects in Africa, Europe, the Middle East, North & South America and South East Asia. He worked his way up offshore with WesternGeco, CGG and SeaBird to the role of Party Chief. The latter part of his offshore career was spent working in Australia, NZ and the wider SE Asia region. He started his onshore career as a rigging team supervisor and later took up the roles of Operations Manager followed by Sales and Marketing Manager at SeaBird Exploration. Ben has extensive first-hand, technical, safety, environmental and commercial knowledge which is delivering value to EPI clients. Boff has over 28 years’ experience in geoscience. All of this has been gained with the Schlumberger Group companies with the majority of this time spent overseas, and specifically the Middle East. Boff started his career in land seismic and held positions of increasing responsibility a variety of operational, technical and management positions such as sales manager, technical product champion and country manager. He spent two years as the Eastern Hemisphere Sales Manager for Schlumberger’s sub-surface consulting group before working in the UK as the Europe and Africa Sales Manager for Schlumberger Geosolutions before joining the EPI Group. A qualified Certified Accountant with over 20 years of commercial experience gained in small, medium and large businesses across a variety of Industry sectors including Retail, Catering, Shipping, Software and Manufacturing, working both in the UK and Europe. 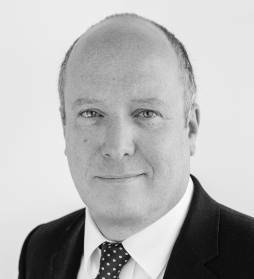 David joins EPI as Finance Director, bringing a wealth of specialist skills from SOX 404 Finance process mapping to SAP Finance Implementation. Gehrig joins EPI with more than 30 years’ experience in the oil and gas industry as a Senior Executive in geoscience companies and currently completing his PhD in Geophysics. Gehrig has an exemplary record as a business leader within the oil and gas exploration and production services industry and brings with him deep technical knowledge, together with great experience in development and commercialisation of new technologies. 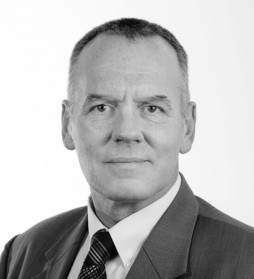 Gehrig is a proven executive manager and geophysicist with over 30 years in the industry. Over the past 20 years Gehrig has been responsible for growing several international seismic contracting businesses to turnovers in excess of $100MM per annum, most recently as CEO of Prospectiuni where he was responsible for increasing turn over from $30MM to $100MM.